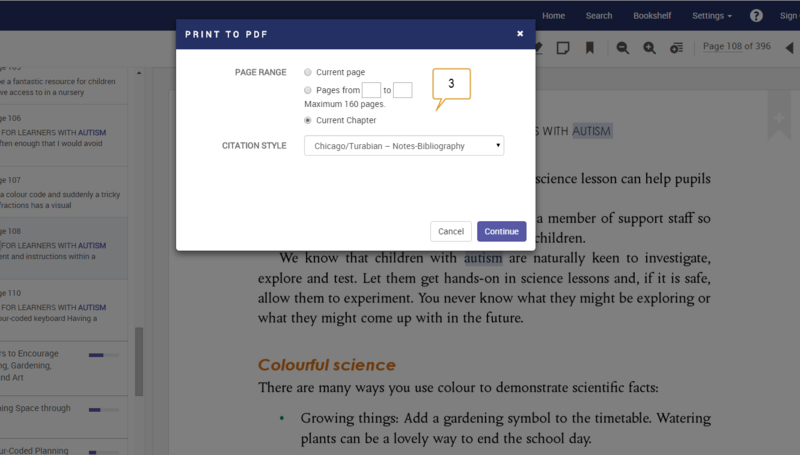 Chapter Downloads allow you to download a chapter, page range, or single page as a PDF. 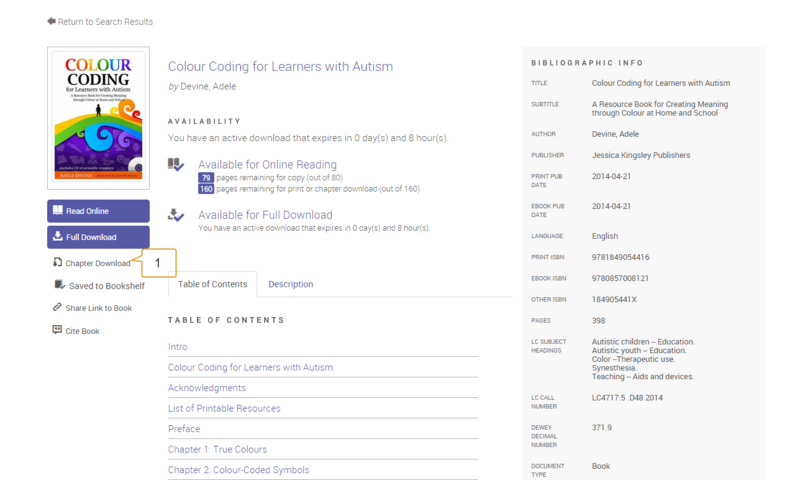 The PDFs are searchable and selectable, include a citation and do not expire.Chapter Downloads are available from Chapter Results, the Detail Page and the Reader toolbar. The typical print allowance for most titles is 40% of the book. When printing a chapter or range of pages, we deduct from this allowance. From the Detail Page, select the Chapter Download icon. Select your chapter from the Chapter Select menu and your citation style from the Citation Style menu. Save or Print the PDF file. From the Reader toolbar, select the Chapter Download or Print to PDF icons and select Page Range options and your citation style. Save or Print the PDF file.